The public needed a champion to restore some order on the chaos and it got it in Margrethe Vestager, the European commissioner for competition. Under her the directorate general for competition did what the directorate general for taxation and directorate general for economic and financial affairs were unwilling or unable to do. I was a dissenting member of the government advisory group that recommended the low 12.5 per cent rate of corporation tax in the early 1990s. I dissented because I believed that the rate should only be reduced to 20 per cent from the 35 per cent nominal rate then prevailing. I believed if it was only 12.5 per cent after legitimate deductions, companies might only pay an effective rate of 6 or 7 per cent. I was so naive. Today some companies pay nothing and too many pay very little. Apple paid a mere 0.005per cent on its European profits in 2014. Lovdhal-Gormsen argues that certainty of law is central to this contract, but if the world’s biggest and most profitable company is reluctant to pay taxes and aggressively uses an array of subsidiaries to avoid tax, what hope is there for civilisation? Lovdhal-Gormsen is correct to say that people are losing faith in EU institutions, but we are also angry when profits are untaxed and when public services are failing. Indeed Vestager has restored some faith in the EU with her ruling regarding Apple. The EU is accused of the “aggressive use of state aid rules to pursue its corporation tax agenda”. But it is the multinationals who are bending the rules, because they can, in the globalised world. For them corporate social responsibility means their fiduciary duty is only to their shareholders and it excludes all others. The commission did not apply these state aid rules to tax subsidies for many years. If it had, it may have lessened Ireland’s collapse because it might have stopped the many tax subsidies thrown at property investors by governments from the mid-1990s. Tax “incentives” are subsidies and are at last included in the determination of state aid. The Apple tax case is not undermining the OECD efforts to bring order to the international tax system, but is complementing it. Lovdhal-Gormsen correctly says the corporate tax system needs reform. But she claims that state aid enforcement is not the appropriate tool. On the contrary, it has to be an integral part of the system. For example, suddenly giving a 100 per cent write-off in year one to a new hotel can wipe out existing hoteliers who did not have such a subsidy. Tax competition or tax wars between countries is promoted as “good” by the tax industry and our Government. However, tax wars are won by tax-avoiding multinational corporations (MNCs) but are ultimately lost by sovereign states. We do not know the truth of her prediction that “this ruling will make companies more wary of investing in Europe”, but is abundantly clear that Ireland also needs to seriously address indigenous industry. In recent years, the proportion of sales MNCs make outside their home states is falling, as are their profits, and the flow of new multinational investment has been declining relative to GDP, according to the Economist (January 28th). 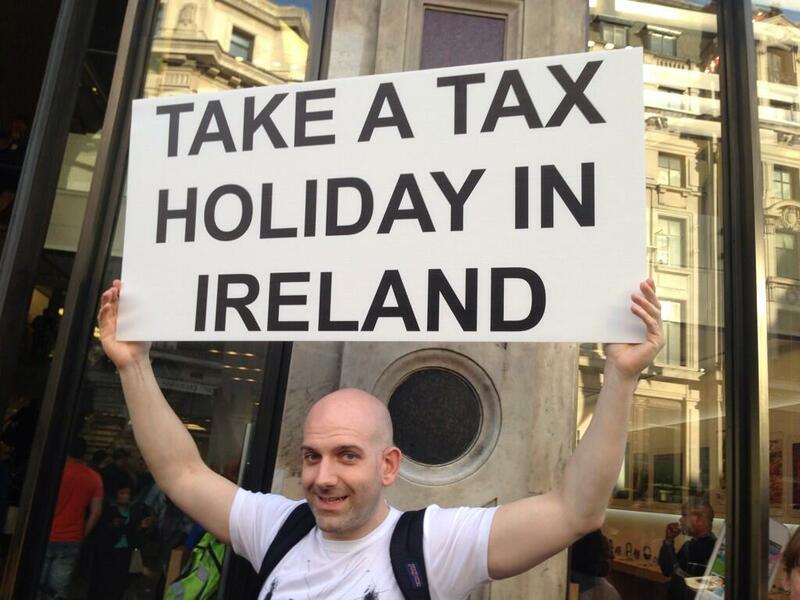 The issue is much bigger than the €13 billion tax to be paid by Apple under this ruling. Ireland has been one of the greatest beneficiaries of globalisation. MNCs have contributed much, but globalisation is under threat. One reason is that the little people are angry that big companies are not paying their fair share of tax. What is “fair” is debatable, but paying virtually zero on big profits is not fair. Apple makes wonderful products, employs many in Ireland (unlike some big tax avoiders). However, its bosses see tax minimisation, which is easy in today’s world, as a core objective. They need to move back to the stakeholder model of corporate governance where companies owe responsibility to a wider group than its shareholders. Then civilisation will survive.